A full service law firm, Gorriceta Africa Cauton & Saavedra is one of the leaders in the fields of Capital Markets, Mergers & Acquisitions, Tech Media & Telecommunications and Taxation in the Philippines. The firm offers a full array of services such as corporate law, capital markets, M&A's, taxation, TMT, estate planning, litigation, transportation law, intellectual property law, labor law and business law, among others. The firm helps solve problems for domestic and foreign clients and corporations. The firm's experience is built on securities offerings, restructuring and cross border acquisitions. The firm has been involves or is involved with several listing applications at the Philippine Stock Exchange. The firm also specializes in providing counsel on the whole legal spectrum of doing business in the Philippines that ensures tax efficiency from project conceptualization to capital and profits repatriation. 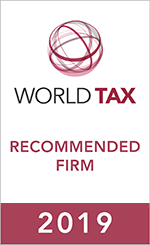 The firm has extensive experience in complicated tax structures, tax examinations, and investigations and tax ruling applications, including tax free ruling applications. In recent years, Gorriceta Africa Cauton & Saavedra has provided tax advice to most of the Top 100 companies in the Philippines.